To say that I’m an introvert is an obvious observation. I’ve always been way more creative than candid, even as a kid. I’ve always been able to find solace more in solitude than social settings and tend to talk only when I’m required to. I spent my free time in high school painting to pass the time, writing and reading whenever I could, so I was surprised that someone approached me one day and took on the task of talking to the quiet kid with a book they said I should read – a futuristic sci-fi story about a world war with aliens and the children who fought it. Ender’s Game is still my favorite book that I have ever read. That same someone burned me a cd and introduced me to the beauty of Brandi Carlile. 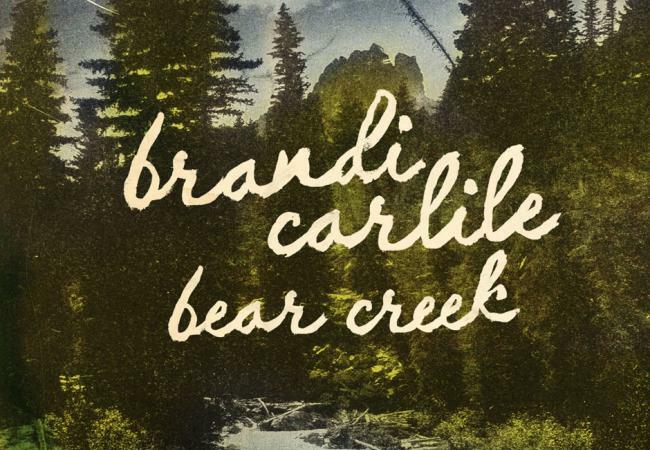 The cd that my friend shared with me at that sleepover was The Story, and since then I have been biased to the Brandi Carlile brand of bare, worthwhile words. From the city of Seattle, Carlile is compelling, prolific and personal, proving the belief shared by so many that personal is universal. Though she’s singing her songs and explaining her experiences, what she relishes is real and relatable. I lather in her lyrics, sing along with her soul. Her 5th major label album release, Bear Creek, saddles up with a stripped back, simplistic sound. Perhaps as brave as she’s ever been, Brandi lets us hear her heart and her hurt and her hope. Getting back to the gritty, the only guests she’s got on the cd are a group of frogs found outside the studio. Coming from coffee houses where she personally called her friends and fans to make sure they would show up to see her, Brandi now headlines her own sold-out shows and is coming to Stage AE in Pittsburgh Tuesday night. Not only charming, but also charitable, $1 from every ticket sold goes to The Looking Out Foundation, an organization that supports the arts, women, public health, the hungry, and the homeless. Her artistry and altruism merge even more as Carlile co-founded The Fight the Fear Campaign, a community-oriented violence prevention program. “It really isn’t about fighting other people, it’s about respecting the fact that you yourself are worth fighting for,” she says. When it comes to Brandi Carlile, I find it easy to communicate. I’d talk to anyone about her talent. I’ll actually engage and be extroverted, I may even break my trusty tradition and start a conversation. Hans Christian Andersen said, “Where words fail, music speaks.” Well, Brandi Carlile speaks to me, and I’m happy to help speak about her.